The Commission des Champs de Bataille Nationaux in Quebec (Canada) is digging for traces of the 1760 battle between French and English soldiers and inhabitants of the “Nouvelle France” in the “Parc des Braves”. The archaeological site was historically occupied and developed in 1646 by De la Porte, followed by H. Pinguet and his family who operated the very first tanning mill on a nearly industrial basis in America, which production was used for tanning furs to be sent to Europe. 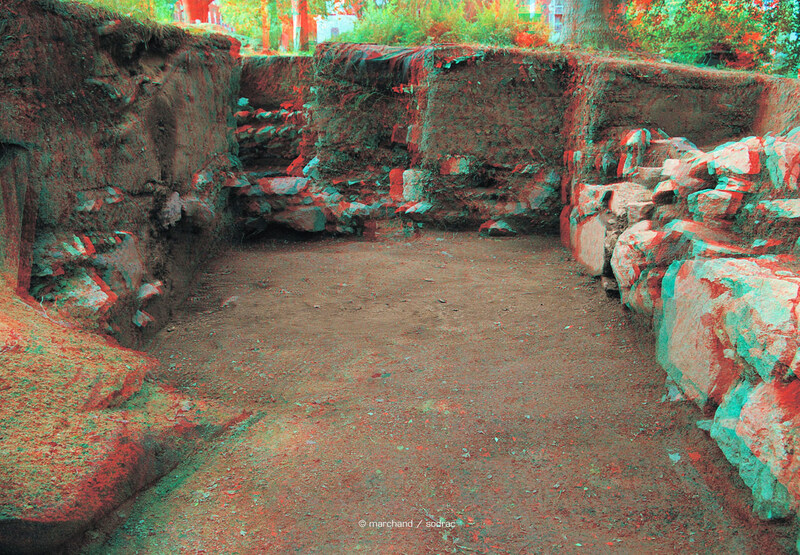 Stereographer Jean-Pierre Marchand teamed with archaeologist Philip Picard and his group; he produced the first stereoscopic 3D pictures used for archeological purpose in Quebec. In 1646, Henry Pinguet became the first known occupant of the land where Des Braves Park is currently located. Jean-Baptiste Dumont became its owner in 1741. At the time it held several buildings, including a house, a tannery and a tanning mill. During the Battle of Sainte-Foy considerable damage was caused to the buildings, so much so that the ruins gradually disappeared over the following years. In 1854, the Société Saint-Jean-Baptiste de Québec erected a monument dedicated to the victims of the battle. In 1910, the National Battlefields Commission became the owner of this land which were later used to make up Des Braves Park. The site is now managed by the Canadian government in Quebec City. The battle fields were coveted by the English forces over the French residents of the first period of the colony, who were living there since 1537. The first trial excavations on the site started in 1993 to check the location of the Dumont Mill. Battlefields Park is the first national historic park in Canada, including Des Braves Park and the Plains of Abraham. The development of Des Braves Park, which covers five hectares, was based on the plans of landscape architect Frederick G. Todd and was completed in 1915. Archaeologist Philip Picard and his group were joined by Jean-Pierre Marchand, stereographer that used its stereoscopic 3D camera to explore and reveal the life style of those living in the first lands of America, between 1560 and 1760, here in the actual city of Quebec. 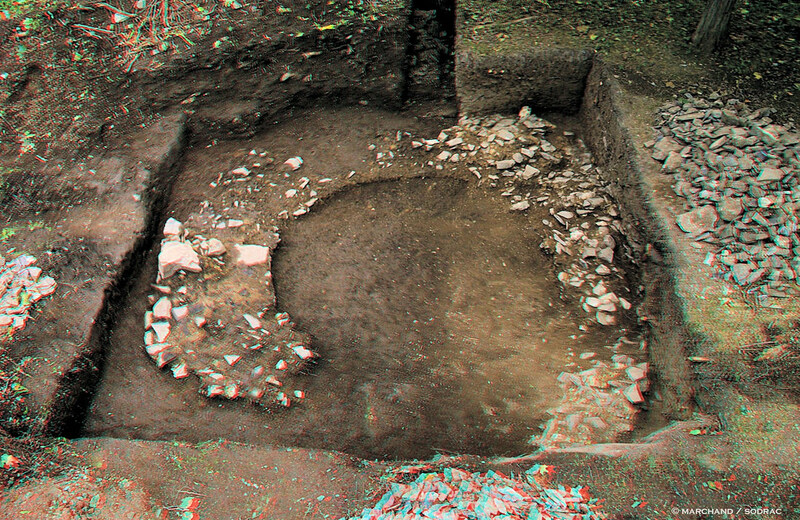 The documents presented here appears to be the very first stereoscopic 3D photo documents specifically used in the field of archeology. Source: Stereographer Jean-Pierre Marchand and his "olo.graph" studio services.